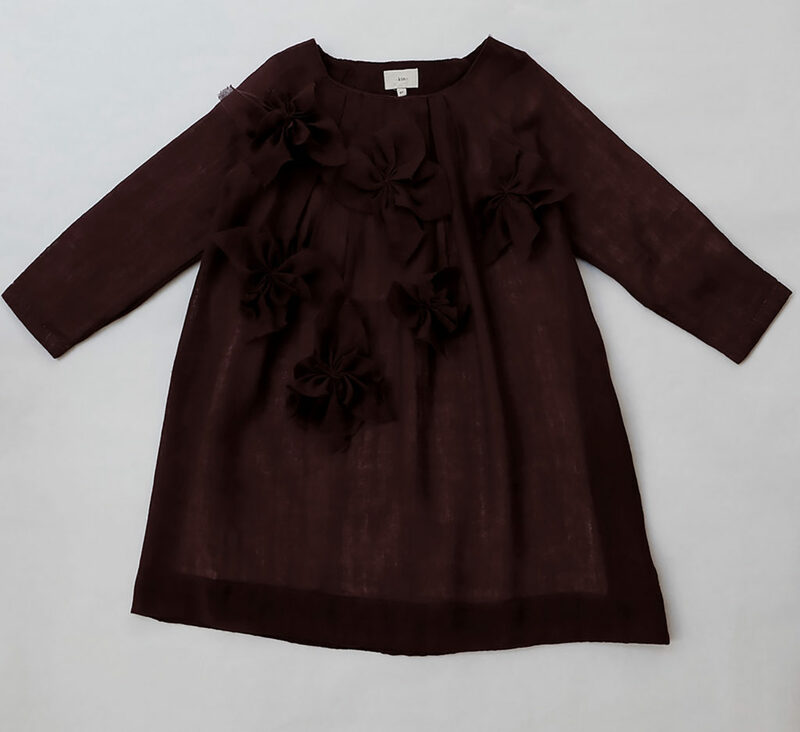 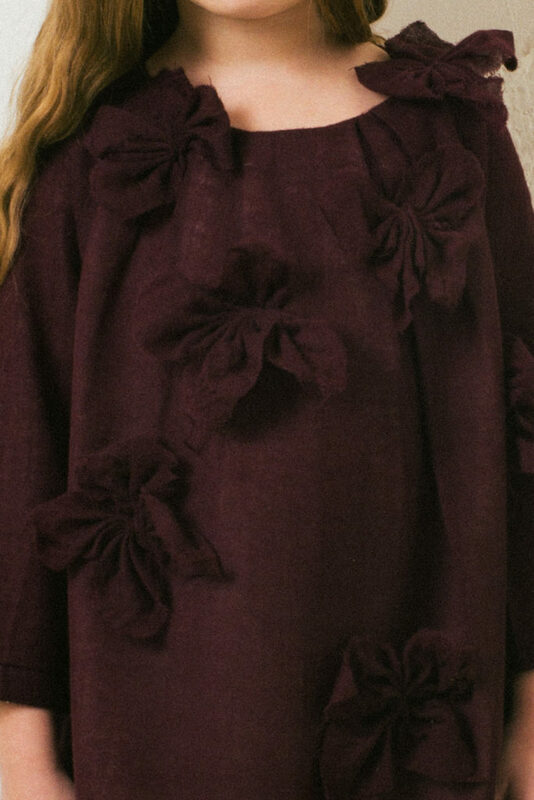 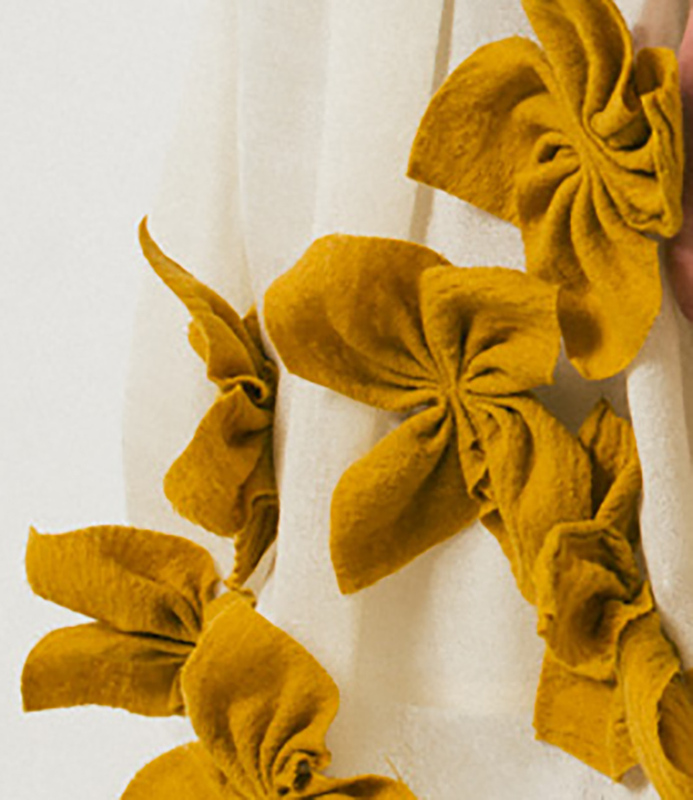 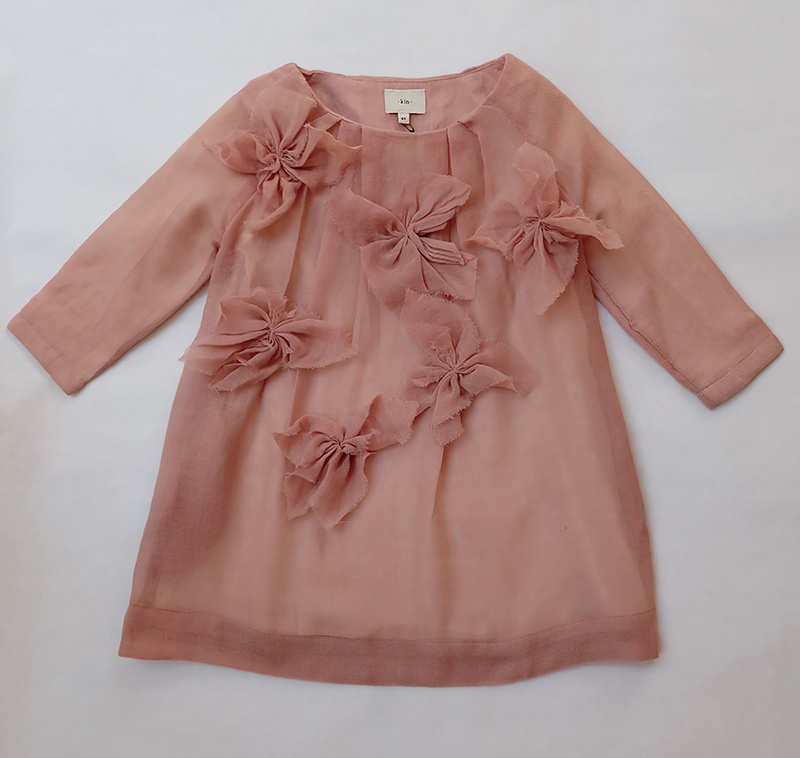 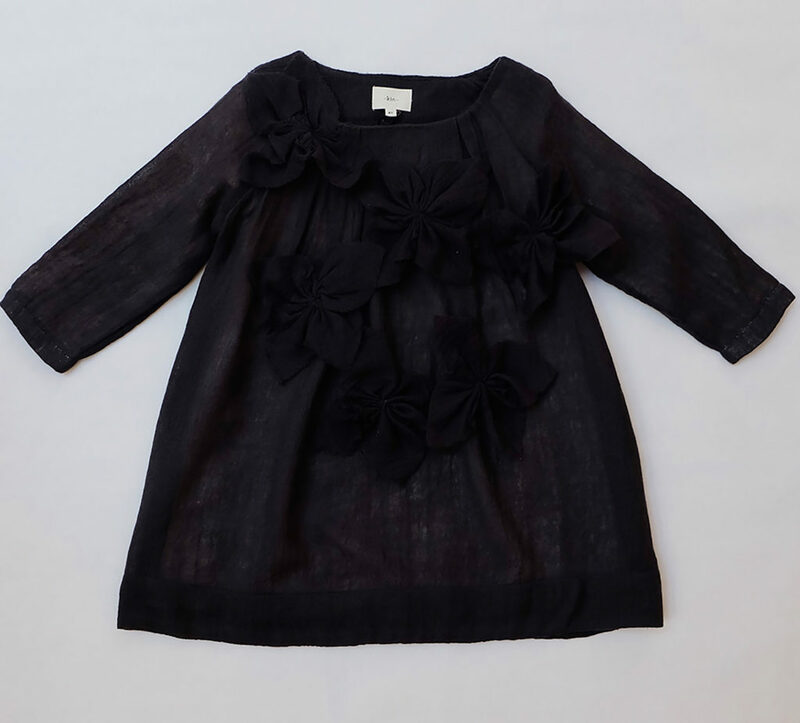 Wool gauze dress with hand stitched applique’ flowers. 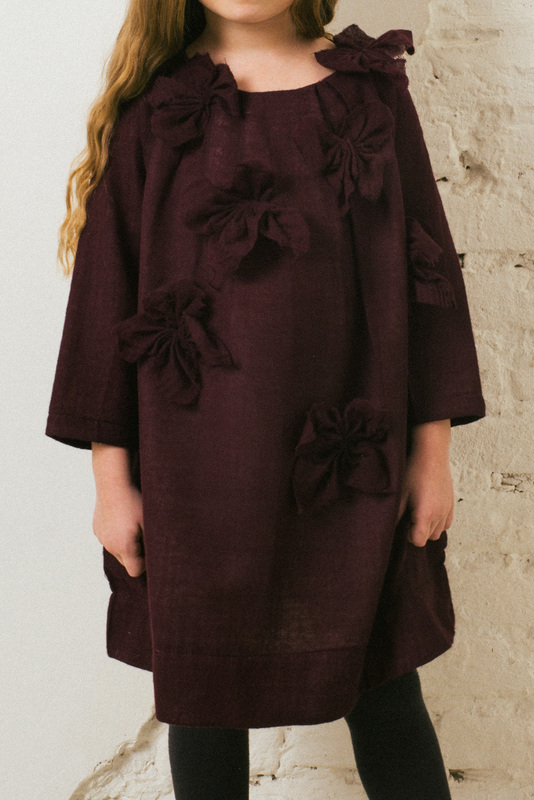 Features irregular pleat detail at front neckline, in-seam pockets and organic cotton voile lining. 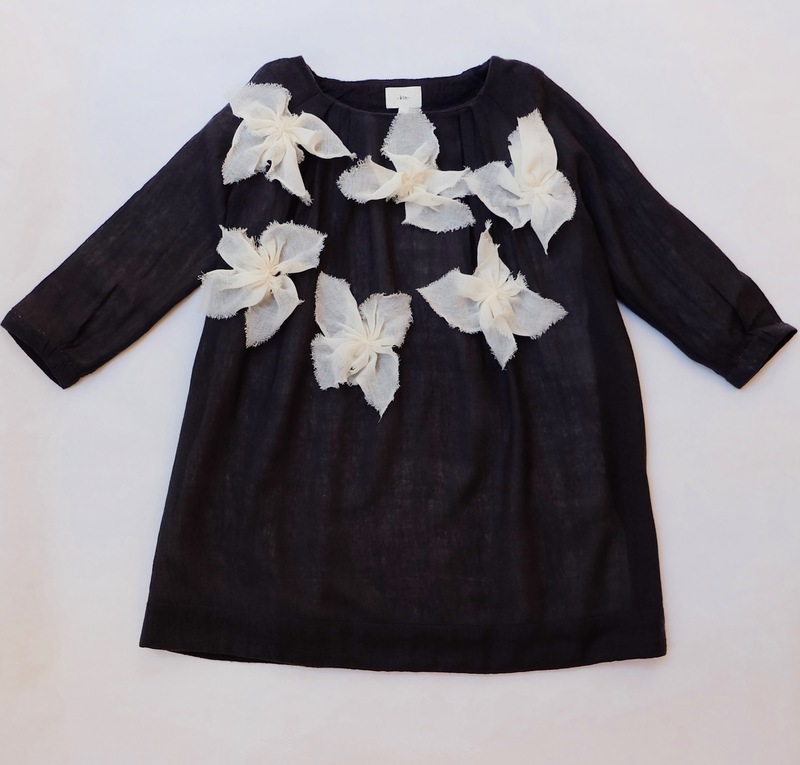 100% wool gauze with organic cotton voile lining.